Welcome to the confusion – surgical light descriptions. What we mean by that is how surgical light manufacturers load their brochures with very cool sounding adjectives and phrases in order to persuade you to buy their light. 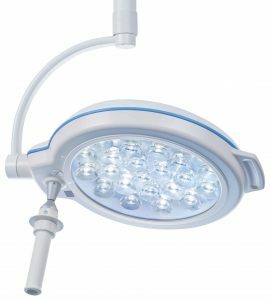 Having been a surgical light distributor since the 1980’s, we know all about how hard it is to decide on this light or that light based off what you read in the brochure. For example, you may read words like unsurpassed, unique, intuitive, industry leading, high quality, minimized, maximized, and the list goes on and on. But what does it all mean? How do you give those words value? 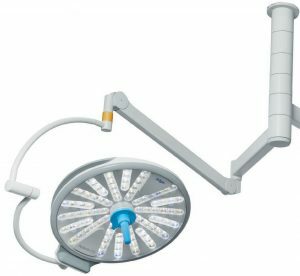 In this very comprehensive article, of which we are very proud, we’re going to give you all the technical information you need about the most popular surgical lights in Canada. So, when one company states that they are the best at a particular feature, at a glance of our downloadable data sheet below, you can tell if that statement is true! *All the information in this article is based on public information available at the time of publication, but may not reflect future changes on manufacturers’ websites or brochures. *Not all features of every light will be listed. Many lights have many more features. Our main goal is to give you an idea of what the light encompasses and what the manufacturers make available. 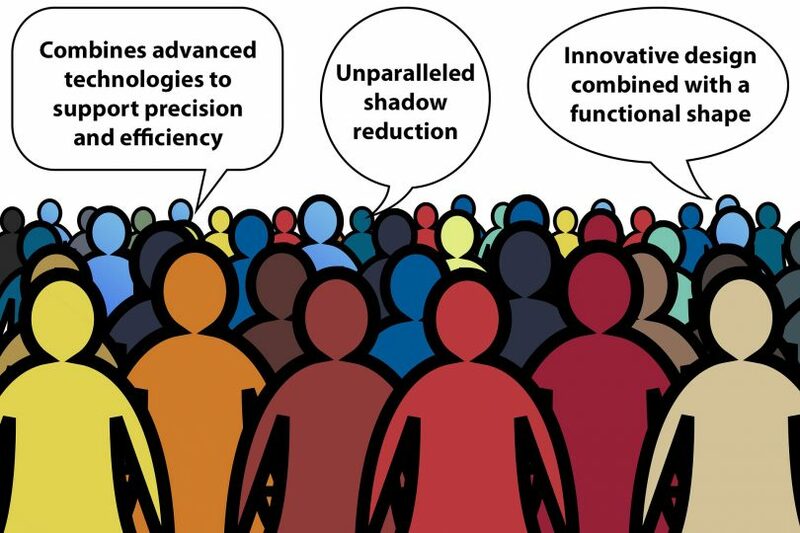 *We have really tried to not include any ambiguous statements about features, such as minimal shadow reduction, high quality materials, or reduced heat, just to name a few. *If a particular light does not have many features listed, it may be because the manufacturer did not list the specifics. 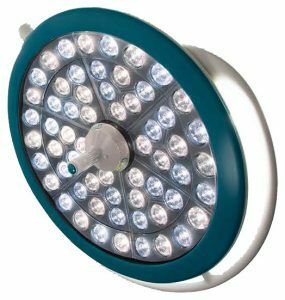 At the end of this article, download our surgical lights data sheet, which has all the technical information for all the lights listed here. 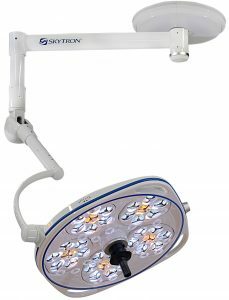 Skytron lights have a maximum intensity of 160,000 Lux at one meter. Each light incorporates vertically segmented reflectors, which serve to help reduce shadows and produce a homogenous spot. Skytron has variable and fixed focus options available. The Aurora Four line of lights is the latest from Skytron. 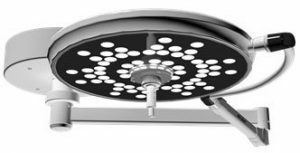 Available in single, dual or triple configurations, the Stellar XL also comes as an upgrade option to the previous Stellar Halogen series. This light also has a mobile option. 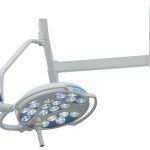 Available in single, dual, and boom configurations, the Aurora Astro is suitable for surgical and procedural settings. 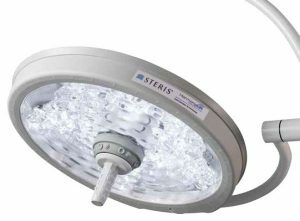 Steris lights, on average, produce 34% less heat than halogen lights. 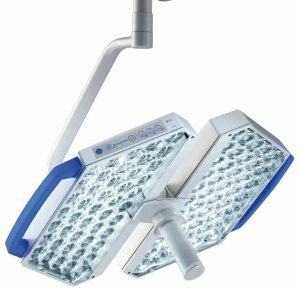 The HarmonyAIR™ M-Series Surgical Lighting System features a modular HD capable suspension and the design is modular, upgradeable, allowing you to adapt to your needs as they change. The G-Series uses a single-color, phosphor coated LED chip as opposed to multi-color LEDs. With an HD-capable suspension, the Harmony LED lights reduce energy consumption by 75%, do not require bulb changes, and produce 34% less beam heat, when compared to halogen. 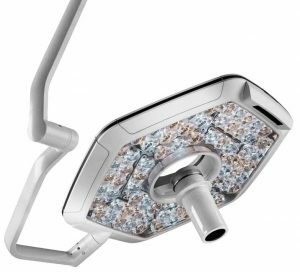 Maquet has three surgical light models to choose from, all of which offer differing value. 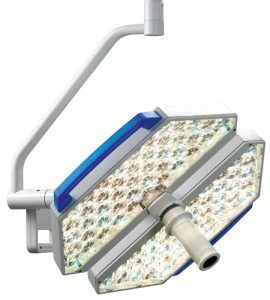 These lights feature the Maquet Flux Stability Program, which keeps the light at the same intensity if the light starts to lose illumination. 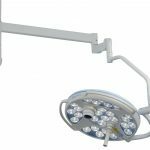 Developed specifically for minor surgery, they come in mobile, wall and ceiling mounted configurations, in addition to a battery-operated model. A “boost” function, offering spare capacity, is also available to deal with any complications. Unnecessary under normal circumstances, you can boost the light intensity if conditions dictate. The PowerLED series is a 2nd generation of white LEDs. 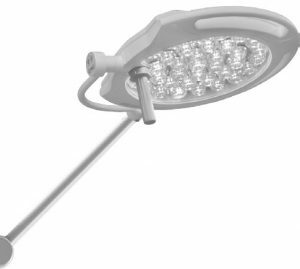 Billed as tailor-made surgical lights, the Volista offers drift-free lights, touchscreen control and pre-set light settings. While the lighthead includes all primary function controls, the wall keypad synchronize the settings. 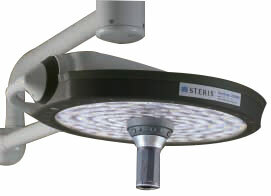 Stryker acquired Berchtold some years ago, including its surgical lights line. With a suspension design that makes upgrading easy in the future, the LED F Generation lights use a reflector to multiply the light beams and shape the light beam. The F Generation requires less energy to power than a 100 W light bulb. The aluminum and glass constructed Visum LED II lights use up to 38% less energy than traditional halogen lighting. 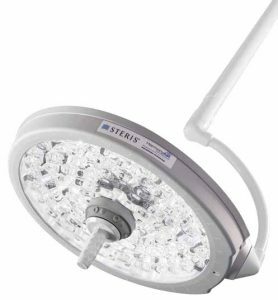 Described as a simplified surgical light, the Visum Blade LED retains the proprietary refraction optics that are in all Stryker lights. 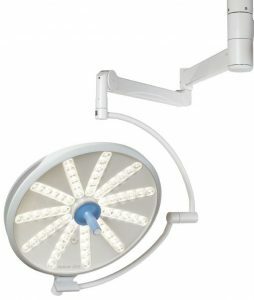 Hill-Rom® acquired Trumpf Medical in 2014, including its surgical lights line. Trumpf lights utilize a multi-lens matrix throughout a tiered product offering. 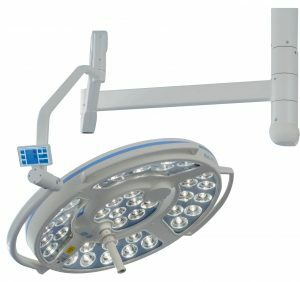 With the iLED™ 7 Surgical Light, there are several ways to operate it, including via the touch-screen wall control panel, wireless tablet, or directly from the sterile light handle including acoustic feedback. These lights feature manual shadow management, selectable color temperature, and an autofocus function. 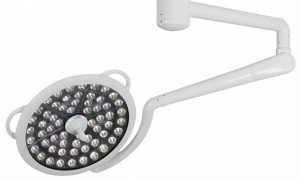 Like the iLED™ 5 and iLED™ 3, this light also features Adaptive Light Control Plus, as well as adjustable color temperature and automatic readjustment of the illumination level. Available in the 5500 series or the 5300 series. Ideal for emergency rooms, trauma, ambulatory centers, or intensive care units, the TruLight™ 3000 manually adapts to three general working distances: near, normal, and far. Many of the lights that Amico offers contain very similar specifications with little difference here and there. 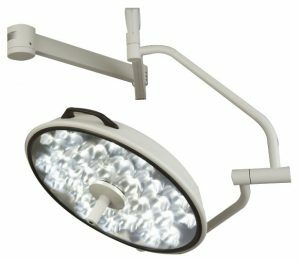 The Mira LED line of lights is suitable for minor surgery and diagnostic lighting. The main differences amongst the models is the amount of LUX. 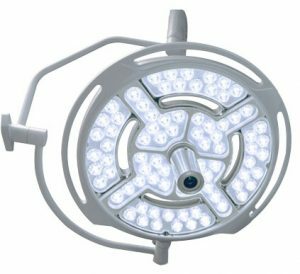 These operating room lights come with an emergency bypass feature so that you still have light in the case of a power failure. 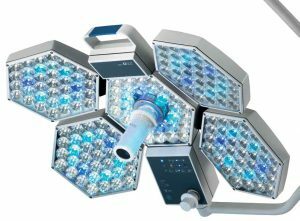 Specializing in medical lighting technology, Dr. Mach prides itself in completing the majority of manufacturing in-house. The MC and Smart models are equipped with multi-colour chips, whereas the SC is a single-colour chip model. The SC models cannot change colour temperature. 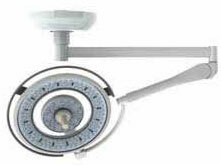 Very similar to the LED 5 line, the LED 3 line has the same features but fewer LED bulbs. Again, similar to the LED 5 and LED 3 product lines, the LED 2 is the smaller, more economic version of the two. This single-colour light incorporates a duo focus feature. Described as a ‘small operating light’, the LED 150 F and FP are focusable, while the LED 150 is fixed focus. 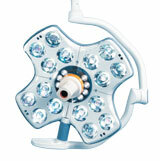 Dräger’s goal was to design lightweight, compact surgical lights with LED technology. 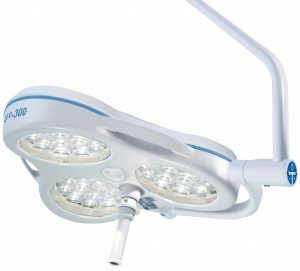 Described as a highly compact light, the Polaris 100 has a special mode where ambient light from a single LED supports minimal invasive procedures. 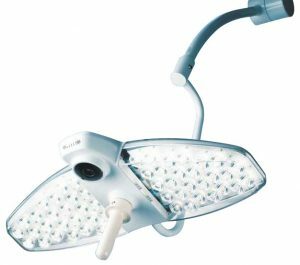 The Polaris 200 features an increase in LED bulbs. The integrated OR interface allows you to control multiple devices via a central system. Nuvo lights are described as “incomparable” and “limitless”. Cross Focus Technology enables the LED’s to move independently of each other while adjusting the pattern size. The Nuvo Vu features a “Green Mode” for minimally-invasive surgery. The flagship series VistOR MS was designed with keeping the design lightweight and affordable, but with maintaining high illumination. Meditek has exclusive distribution for Skytron lights in Western Canada. We offer other lines as well. 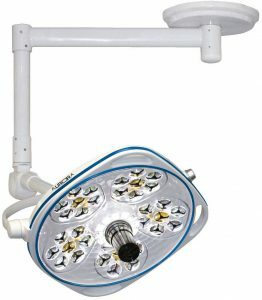 Make sure to check out our product line of surgical lights! 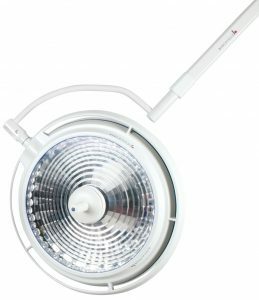 Don’t forget to download this very comprehensive list of the most important technical specs from the most popular surgical lights in Canada below! 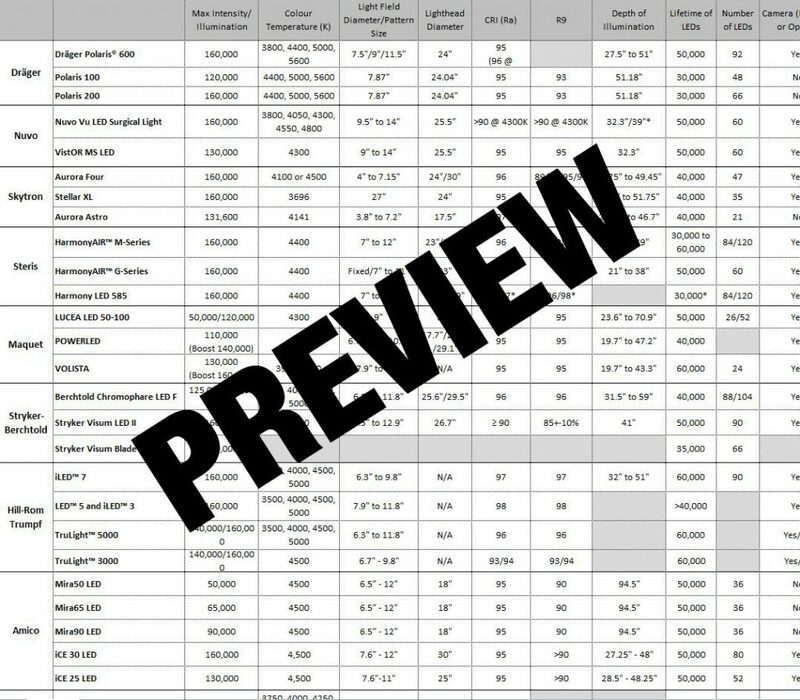 hi, i’d like a pdf copy of the spec comparison chart for surgical lights. I submitted my email but nothing has come through. Thanks! Hello Bob, sorry about that – I’ve just emailed it to you.